Loveland Pass, elevation 11,990 ft (3,650 m). (3655 m) above sea level, is a high mountain pass in the Rocky Mountains of central Colorado, U.S.A.. It is located on the Continental Divide in the Front Range west of Denver. U.S. Route 6 traverses the pass; the twisty road is considered to be especially treacherous during the winter months. A steep, steady 6.7% grade, along with numerous hairpin turns on either side, make it difficult to snowplow the road regularly. 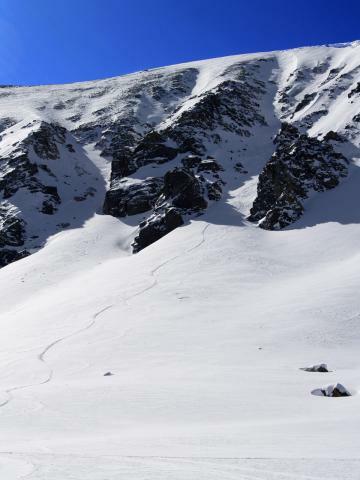 Loveland is the highest mountain pass in the world that regularly stays open during a snowy winter season. When the Eisenhower Tunnel opened in March 1973, it allowed motorists on Interstate 70 to avoid crossing the pass directly. Trucks that cannot pass through the tunnel (those carrying hazardous materials and those over 13.5' (4.1 m) in height) must still take US 6 across Loveland Pass, 800 vertical feet (244 m) above the tunnel. 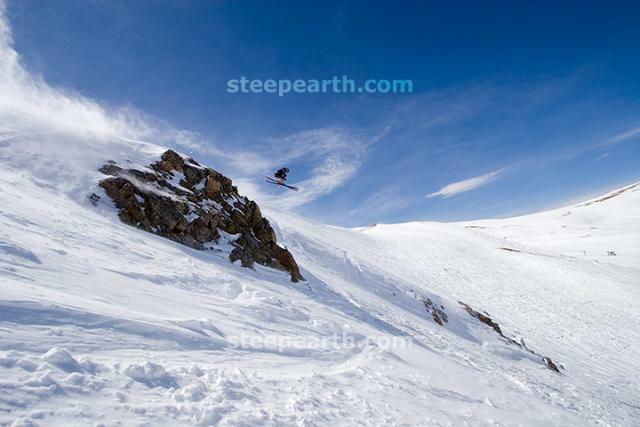 Loveland Ski Area is located at the eastern end of the pass, and Arapahoe Basin is on the west side. The pass itself is a popular destination for backcountry skiers. Occasionally during the winter, the pass road may be closed by a blizzard and all traffic must use the tunnel, even the normally forbidden HAZMAT-carrying vehicles. From Denver: Take I-70 West to exit 216, take a right at the end of the exit ramp, and drive over the pass. At the first major switchback there is a parking area, and at the top there is another parking area. From West of the Eisenhower Tunnel: Take I-70 East until exit 205, which is the Dillon/Silverthorne Exit. Take Highway 6 East over the top of the pass. There is terrain accessible on all aspects, with approaches from 1 minute to 1 hour.